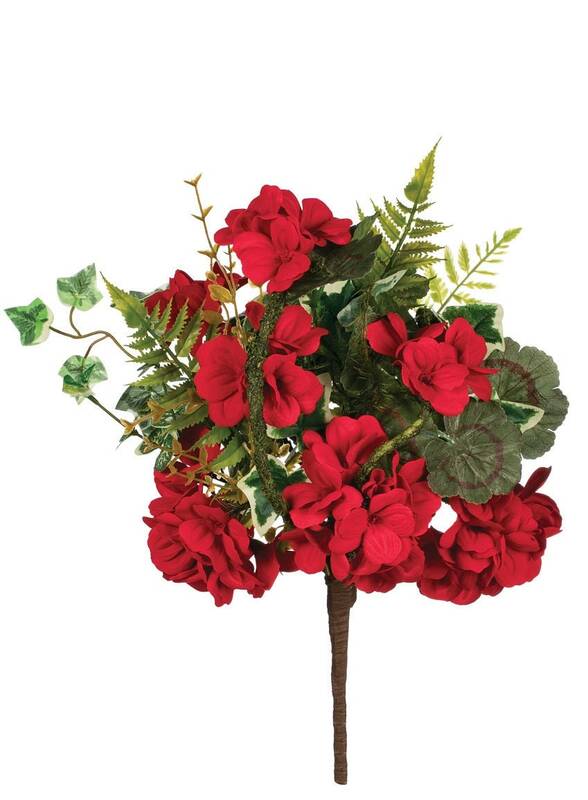 Red Geranium floral pick mixed with artificial greens etc. The gorgeous geranium is found in nature throughout the temperate regions, you can celebrate the beauty of this flower year-round in any climate. Vibrant red color pops opposite the verdant green leaves for a look that is classic and timeless. ***Note flower pot shown is not included with your purchase of the red geranium mixed greens pick it is shown for display/idea on how to use the floral pick only.